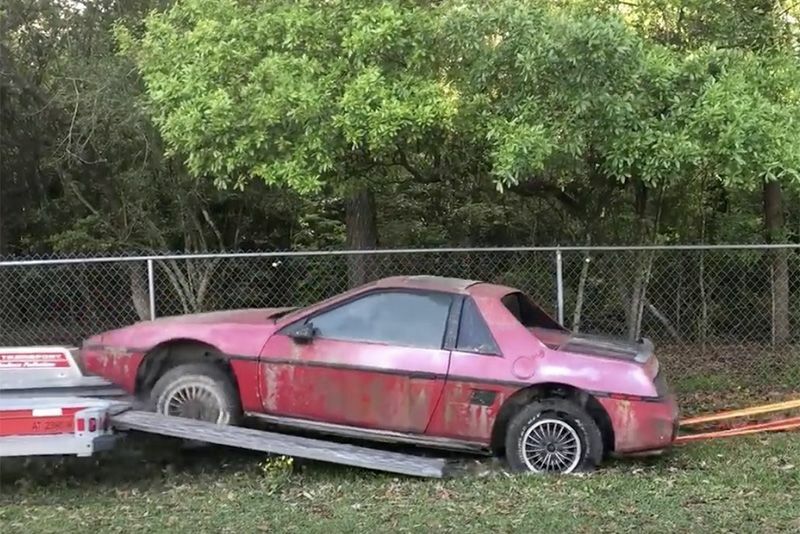 It's likely not many people outside of America even know about the Pontiac Fiero 2M4 but this video will open your eyes, not just about the car but also about how to make a restoration video. It's a refreshing take on a restoration video. There are no fake arguments between son and dad and there's not a tattoo in sight, it's just a monologue telling us a story. The owner, Ronald Finger, gives us a great rundown on the history of the Pontiac Fiero 2M4, a brief overview of why he bought it and then a simple and effective monologue of what he's doing and how he goes about it – including this comment, "There was so much jacking, you would think this was a middle-school boys bedroom." There are no special effects, no dramatic music or unrealistic cliff-hangers and not a crazy body kit in sight, it's just a mesmerising video created by someone who confesses to knowing only a little about how to fix cars. Ultimately, it's a passion project that many of us can relate to and, although this is just part 1, for some reason I will be following with interest. Hope you enjoy! Video: This Sketchy 750hp Homebuilt 'mad Max' Pontiac Fiero Gt With A Huge Turbo Is Terrifying!